Britain's longest-established classic car magazine defined the world of classic motoring in 1973, and it still does today. 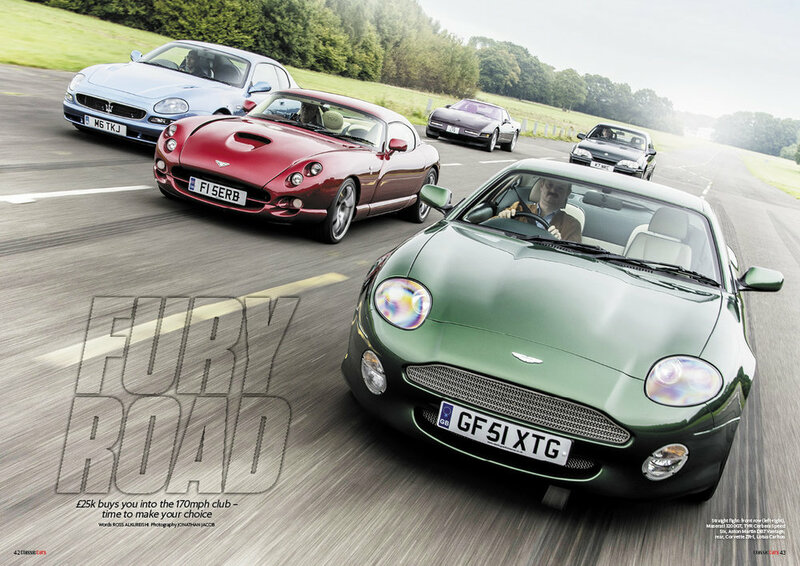 Road tests on fabulous and important classics, analysis of the latest market trends, detailed buying guides, the most insightful coverage of the latest events, cars for sale tested, staff car adventures and more. • QUENTIN WILLSON. Our columnist started wheeling and dealing in classic cars back in his student days and became famous on TV with Top Gear and The Car's the Star, and more recently The Classic Car Show. • GORDON MURRAY. He's one of the most innovative automotive designers of a generation. He designed GP-winning F1 cars for Brabham and McLaren, and road cars as diverse as the McLaren F1, Rocket and new TVR Griffith. • JOHN FITZPATRICK. He began his racing career in the British Saloon Car Championship, winning it in 1966. He was European GT Champion in 1972 and 1974, and became a team owner in 1981..
• THE MONTH IN CARS. Sam Dawson and his team of newshounds brings you inside stories on the most exciting cars that we find while bouncing around the world visiting the best race weekends, shows, tours and concours. • MARKET WATCH. Russ Smith analyses the latest auction results, scans the classifieds and gets the insider's view from the trade to bring you the hot trends on what's going up, what's going down and what's dead in the water. • BARN FINDS. Nigel Boothman wades through nettles, dodges growling Alsations and peers into gloomy barns and sheds to find dust-laden beauties. • OUR CARS. Phil Bell and his petrol-breathing gang of writers reveal the joys and, er, shall we call them challenges, of buying, driving and quite often fixing their own classics. • BUYING GUIDE. Armed with our advice culled from the best experts and most experienced owners you'll be able to buy with confidence. • ADS ON TEST. Each month we pick on four of the cars advertised in Classic Cars to find out if they look and drive as well as they should. • BOOKS AND MODELS. We rate the latest releases. • WHY I LOVE. Racing drivers, designers and car engineers tell us about their moroting passions, from a favourite racing livery to an exquisite design detail.